In 2008, when Becky Smith worked at the Community Market in Lower Burell, Pennsylvania, Larry Spiering, who had his eyes set on her, finally got the courage and walked up to her and gave her a piece of paper with his name and phone number on it. As unusual as it sounded, she decided to check it out. 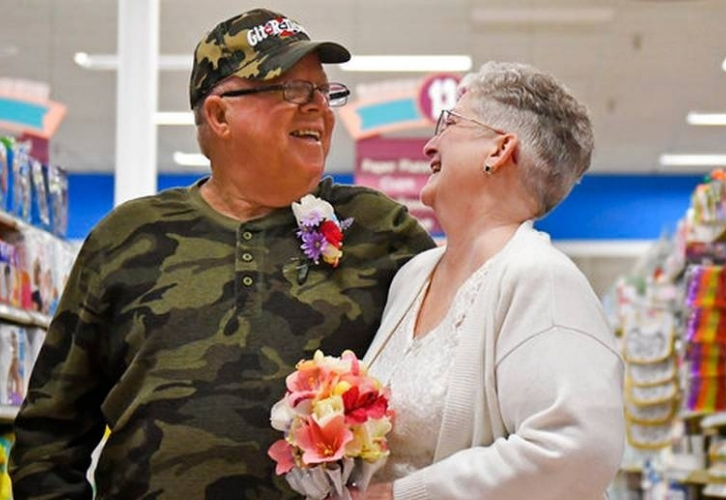 The couple met at aisle 13, and little did she know that 10 years later, she would be marrying Larry at that very aisle where they first met. At first, Becky said the whole idea of getting married at the exactly same place they fell in love was just a joke, but eventually, the idea grew on her. On April 1st, Easter Sunday, the couple decided to tie the knot in front of their friends and family. They chose the special date for being close to their birthdays. 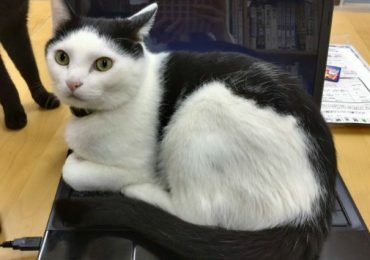 Larry celebrates his on the April 2 and Becky’s on April 3. 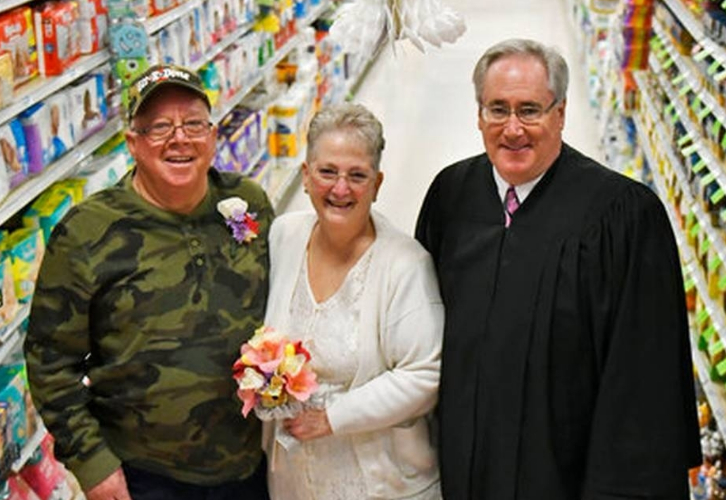 A wedding at a grocery store was a first for District Judge Frank J. Pallone, who officiated the ceremony. 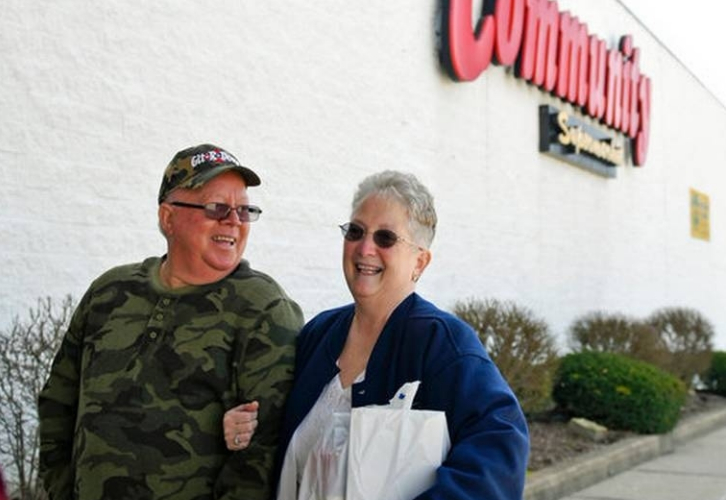 Loyal customers of the local grocery store showed up to congratulate the happy couple. According to Becky, the wedding was everything they wanted, ”something nice and easy”. Do you know someone who also got married at an unusual location? Let us know and please SHARE with your friends on Facebook.